For Senior Manager : Graduate degree in Engineering in Mechanical/ Electrical Engineering or Equivalent from a recognized University. For Manager : Degree with a Post Graduate Degree in Marketing/ Mass Communication/ Journalism/ Public Relations from a recognized National/International University. Age Limit : Maximum age limit is 55 years for Chief Manager, 52 years for Senior Manager and 50 years for Manager. 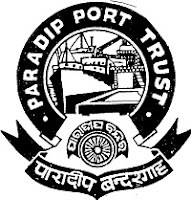 Paradip Port Selection Process : Selection will be based on Interview.